Essential oils have been used for centuries and have some amazing health benefits. But they can be intimidating until you know what to do with them. 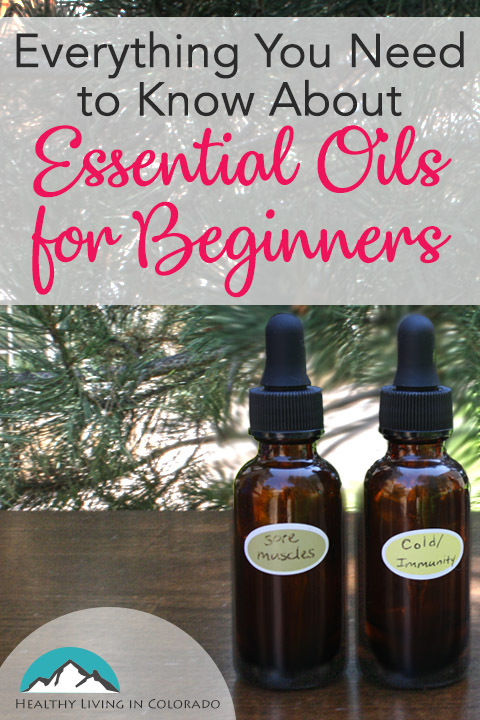 Let’s take a look at essential oils guide for beginners. We were living in China a few years ago when essential oils got really popular. Because of that I was a little late coming to the game. But a friend came to China to visit us, and she brought us some oils and two diffusers. I was so excited because I had read about them and heard about using oil, but I had never seen them. Feeling excited to get started right away, I didn’t know what to do with essential oils. Since that time, I have become a big fan of essential oils. They have helped my family and me with many different health issues. There are so many essential oils benefits!! Here are some of the most popular ways to use oils just to get us started. First of all, as a disclaimer I am not a medical health professional. But I do follow healthy practices and research a lot for myself and my family. I have used essential oils a lot. You are responsible to find out what works for your health, and it may take some trial and error. Please talk to your doctor before you begin any regimen. You can use doTERRA helichrysum to relieve knee and back pain. Frankincense essential oil is great for head tension and aches. My article 6 Best Essential Oils for Head Tension gives more information about how to use oils for this condition. doTERRA’s On Guard is great to build immunity in the winter. You can use lavender essential oils for sleep. Many people use peppermint essential oil and wild orange essential oil for energy in the morning. In our family, we use Melaleuca (tea tree essential oil) in our shampoo to help keep our family from getting lice. Plus one benefit of Melaleuca is that it is good for the skin. There are many other great essential oils for hair like rosemary and peppermint to help with hair regrowth. There’s lavender which is soothing to the skin. All of these above and chamomile can also help relieve the itch of dandruff and dry skin. Using lemon essential oil and melaleuca essential oil for cleaning the house is a great, all natural way to clean. And the list goes on and on. We have essential oils everywhere and use them for SO many things. Push the big red button above to receive your free PDF of 100 Uses for the 50 Most Common Essential Oils! 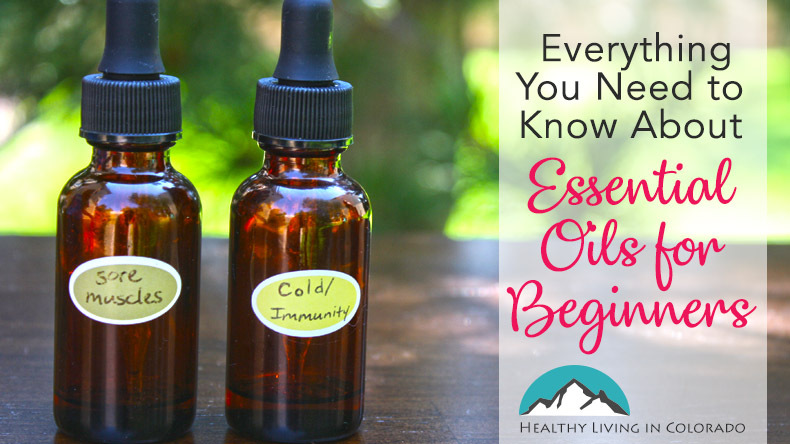 There is a lot to learn about essential oils, and this post is really for beginners. But don’t be overwhelmed! It’s really fun to learn about oils, so let’s get started! Essential oils are basically the essence of plants. These natural oils could come from tree bark, leaves, flowers, resin, roots, stems, and fruits. When made into essential oil form, these oils are very potent and strong, so great care and education are important so that you don’t hurt yourself with them. But it’s this potency and strength that make essential oils so effective. Essential oils and aromatherapy oils are different. Essential oils are what is listed above with great potency. Aromatherapy essential oils are mostly watered down with something like a carrier oil. These are good for massage or other things and smell nice. But we are discussing essential oils here. As you probably know, essential oils have become all the rage. There are some really good brands for sale and some not so good brands. As a general rule, essential oils you buy in a store are going to be loaded with chemicals and things that make it very unhealthy. And if you buy essential oils on Amazon as lots of people have tried to save money, you will find that many of the oils sold on Amazon have either been watered down or are from China. So these are not reputable essential oil companies and are not what you think they will be. Plus they can cause health problems. For a while, I was using Now essential oils, but in the end they were not as effective as doTERRA. Plus you could not ingest them which I really wanted to be able buy food grade essential oils. There is a reason why oils bought in stores are inexpensive. So if you want essential oils because you are choosing to be healthy, then choose wisely. For me, doTERRA essential oils are the best essential oils since they are pure essential oils. They are therapeutic quality and most of them can be taken internally. Here is a 3-minute video to explain more about the purity of doTERRA essential oils. Young Living essential oils are also high quality, but I chose doTERRA because I personally preferred their business model. 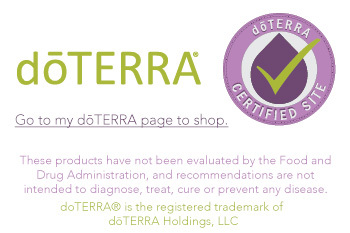 You may find this article helpful: Proud to be a doTERRA Certified Site. Once you’ve chosen a healthy oil, the first thing you can do is open the bottle. This may help you overcome the fear of not knowing what to do with it. I love getting a new bottle of oil and just smelling it! They smell so wonderful! And just smelling it can help you breathe better if you’re congested, it can help relieve a head tension, and it can contribute to a sense of calm or energy. Because the molecules are so small, essential oils can actually cross the blood-brain barrier which is one reason why they can be so effective. Most oils can be placed on your skin with a carrier oil. Essential oils on their own can be very potent and can burn or irritate your skin. So a carrier oil is a way to dilute the essential oil and make it possible to apply. Some carrier oils include jojoba oil, coconut oil, almond oil, and grape seed oil. A favorite oil essential of many people are rollerballs. You put the essential oils of your choice along with a carrier oil in a little glass bottle. Then it’s ready to roll onto your skin! And it’s really convenient to carry with you in your purse or diaper bag. You can place it behind your ears, on your neck, temples, the bottoms of your feet or in an area that has pain. This chart from EO.tools gives you a good idea of safe dilution. A diffuser is kind of like a small vaporizer. You put water in it, along with a few drops of oil. You can put between 4-6 drops depending on how strong you want the aroma to be and how big your diffuser is. This puts the oil into the air into tiny droplets so you can breathe it in. You can also put a couple of drops of oil in your shower. The hot water will help it diffuse into the air. This is especially helpful if you have a runny nose or cough and use something like eucalyptus essential oil. My article The Ultimate Guide to doTERRA Essential Oils has a comparison chart of doTERRA diffusers and essential oil kits explained! It also has the top essential oils listed and I tell a little about how I use them. This one is super important to use a good quality EO that you know where it came from! Do not ingest oils from the internet or a store! But if you feel comfortable and have an organic one or one you bought from a trusted person like a doTERRA representative, then ingesting oils can be a great way to add them to your routine. This is especially true during the winter months. But listen to your body. If it does not like oils ingested, then don’t do it. But if you would like to put a drop of peppermint or lemon essential oil in your water, is a nice way to flavor it and give you natural energy. Or a little drop or two of Slim and Sassy in your water can help you lose weight. Just make sure you don’t put essential oils in plastic as the plastic will begin to be eaten away by the oils. But a glass or a good water bottle like this works great. Or using 2-3 drops of peppermint oil in brownies or in a smoothie is also fun. Lots of people like to bake bread with a drop of rosemary. There are lots of ways to ingest them if you are interested in that. Another really important point is that once you know the oil brand is safe to ingest, also consider which specific oil you are able to ingest. Some oils, no matter the company, are just not made for human consumption. ALWAYS read the bottle! If you have questions about essential oils or are interested in purchasing essential oils online, please message me at allison@healthylivingincolorado.com or visit my dōTERRA store here. And please click the big blue-green box at the top of this article for your FREE Essential Oils Uses Guide. 50 of the best essential oils to have and how to use them! It’s great to know what oils are used for! You may also find these articles helpful: Best Essential Oils for Calming Anxious Feelings and Essential Oils for Pets. And if you want the best essential oil book I’ve seen, I recommend The Essential Life Book. It is amazing and has every oil, use, and condition in there. I reference it a lot! I hope you have found this essential oils reference guide helpful. Please ask your questions below, and don’t forget to share on Pinterest. Hi, Dinah. I hope you received my email. Do any of our readers know where she can buy EO in Namibia? I was given a gift of eucalyptus and orange oils. They are so lovely. I know what the eucalyptus can be used for, but not sure about the orange oil. It smells really good, though. That’s great! I like to add a drop of orange to tea in the winter to help build immunity. It’s also smells great in the diffuser. If it’s a good quality one, you can even cook with it and add it into a dessert. There are recipes online! Great thorough article for EO beginners! We have doterra Deep Blue at my house and love using it for aches and pains. Are the oils safe to use on toddlers and infants? Thank you! I’m glad you enjoyed it. Deep Blue is great! It depends on which oil, but generally agreed upon oils for littles are frankincense, lavender, lemon, melaleuca, and Roman chamomile. Always dilute them when you put them on the skin. I would recommend these oils on young children be put on the bottoms of the feet with socks or maybe along the spine where they cannot reach them with their hands. Then with kids ages 2 and up you get more options like cedarwood and tangerine, etc. The spicy oils like cinnamon and oregano are better for a little older children. Diffusing gentle oils like lavender is a good option with younger kids too if you are not comfortable putting them on their skin. Hope that helps! Please let me know if you have other questions. I’ve always been curious with essential oils and this post is a great introduction. Just the push I need to consider buying some for me to try. Thank you! So glad to hear it. Please let me know if you have any questions. I have heaps of resources and some freebies for new clients. 🙂 Here’s to your health! I’ve always been rather confused when it comes to whether or not to ingest essential oils and you helped me understand the proper way to do it! I might start adding a drop of lemon to my water in the mornings now! Oh, nice! I am so glad I could clear that up for you. Thanks for the comment! Great article. Very thorough and even though I’ve been using essential oils for a few years, I learned a few things. That’s amazing, Heather! I am so glad to hear it. Thanks for letting me know! I love this guide, it’s a very well-organized article! My favorite essential oils are orange and geranium 🧡 love the smell in our home. Thanks so much for your kind comment! I love wild orange, but haven’t tried geranium yet! Love the smell in our home, too! Thank you for this. My favorite part is the dilution numbers. I always wondered what was appropriate. Oh, good. I am so glad it was helpful!